An elegant face with subtle features, housed in a deep copper frame - Aurelia is the ultimate modern timepiece for your wall. Copper tones add natural warmth. 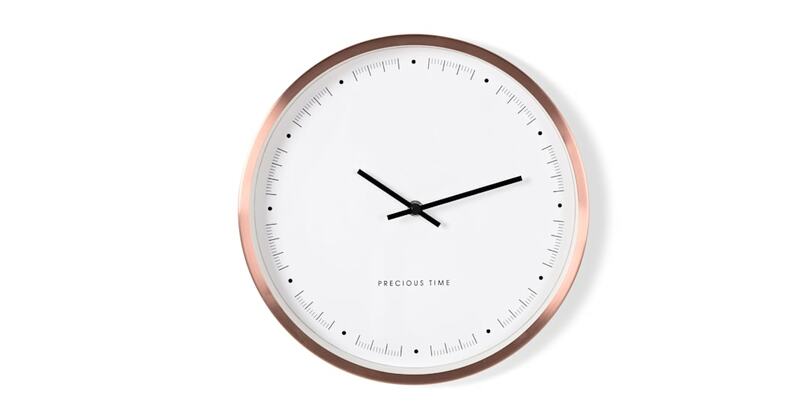 Create a theme in your home with a matching clock in brushed steel for a clean, modern look.